Wow! How did this one get by me? 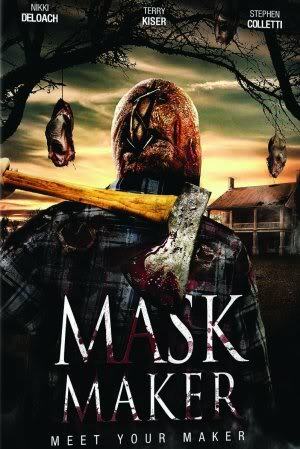 This was actually the first time I watched MASK MAKER aka Maskerade and it's a great horror movie that definitely pays tribute to The Texas Chainsaw Massacre! 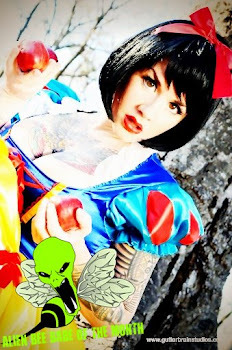 We get some hot chicks, creepy moments and gory kills from a crazed mask wearing lunatic who just can't be killed! We also get some cool performances by Treat Williams, Michael Berryman, Nikki DeLoach, JasonLondon and Jonathan "Jeepers Creepers" Breck as Leonard the killer. A young couple purchases a 19th century plantation home and invites friends up for the weekend to celebrate. When they accidentally release a long-buried evil, their dream home is transformed into a house of horror as the original owner returns to exact bloody revenge. You can buy the movie too!